(Beirut, August 29, 2012) – Proposed amendments to Iran’s penal code would violate the rights of accused people and criminal defendants, Human Rights Watch said in a report released today. Iranian authorities should suspend enactment of the proposed amendments and undertake a major overhaul of the country’s abusive penal laws, Human Rights Watch said. The 48-page report, “Codifying Repression: An Assessment of Iran’s New Penal Code,” says that many problematic provisions of the current penal code remain unaddressed in the proposed amendments. Some of the amendments would weaken further the rights of criminal defendants and convicts and allow judges wide discretion to issue punishments that violate the rights of the accused. Lawmakers and judiciary officials have cited the amendments as a serious attempt to comply with Iran’s international human rightsobligations. In January 2012 the Guardian Council, an unelected body of 12 religious jurists charged with vetting all legislation to ensure its compatibility with Iran’s constitution and Sharia, or Islamic law, approved the final text of an amended penal code. Parliament and other supervisory bodies have approved and finalized the text of the amendments, but President Mahmoud Ahmadinejad has not yet signed the amended code into law. Ayatollah Sadegh Larijani, who is the head of Iran’s judiciary, has ordered Iran’s courts to apply the old penal code until Ahmadinejad signs the new amendments into law, which could happen at any time. 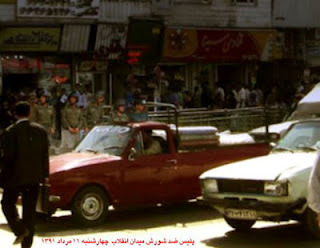 Iran’s Islamic Penal Code, which went into effect in 1991, reflects the ruling clerics’ interpretation of Sharia law, based on the Jafari or Twelver Shia school of jurisprudence. It includes discretionary (ta’zir) punishments not specifically laid out in Sharia law that apply to most of Iran’s national security laws, under which political dissidents are convicted and sentenced in revolutionary courts. Contact: Samantha Schnitzer at sschnitzer@uscirf.gov or (202) 786-0613. “The alleged charges of 'banditry and extortion' are bogus and baseless. 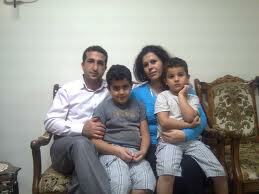 The Iranian government should immediately and unconditionally release Pastor Nadarkhani and drop all charges against him. Pastor Nadarkhani has served nearly three years in prison for nothing more than practicing his faith and leading a congregation of a few hundred Christians in Rasht, Iran. 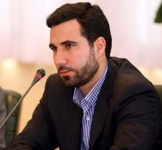 Previous court proceedings related to Pastor Nadarkhani's case have been a sham. They are contrary to Iranian law and international human rights standards, including the International Covenant on Civil and Political Rights, to which Iran is a party," said Dr. Katrina Lantos Swett, Chair of USCIRF. On August 27, Youcef Nadarkhani, an Iranian Christian pastor previously sentenced to death for apostasy in Iran, reportedly will be tried on additional new charges. 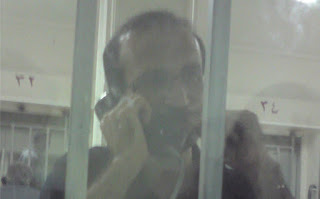 Pastor Nadarkhani, jailed since October 2009, was sentenced to death for apostasy in 2010 by a court in Gilan province. Prosecutors acknowledged he had never been a Muslim as an adult but said the apostasy law still applies because of his Islamic ancestry. 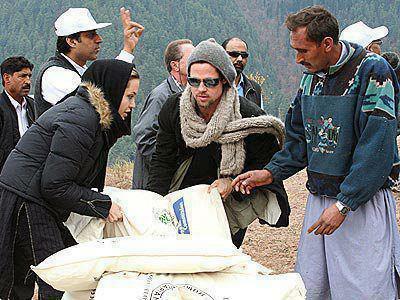 He was born to Muslim parents and converted to Christianity at the age of 19. Rejecting his appeal in June 2011, the court suspended the sentence contingent upon his recanting his faith, which he refused to do during hearings last September. Since 1999, the State Department has designated Iran as a "country of particular concern," or CPC, for engaging in systematic, ongoing and egregious violations of religious freedom under the International Religious Freedom Act (IRFA). USCIRF recommended in 2012 that Iran again be designated. Regime has arrested & detained four activists from Azarbayejan who were just helping the Earthquake victims ! 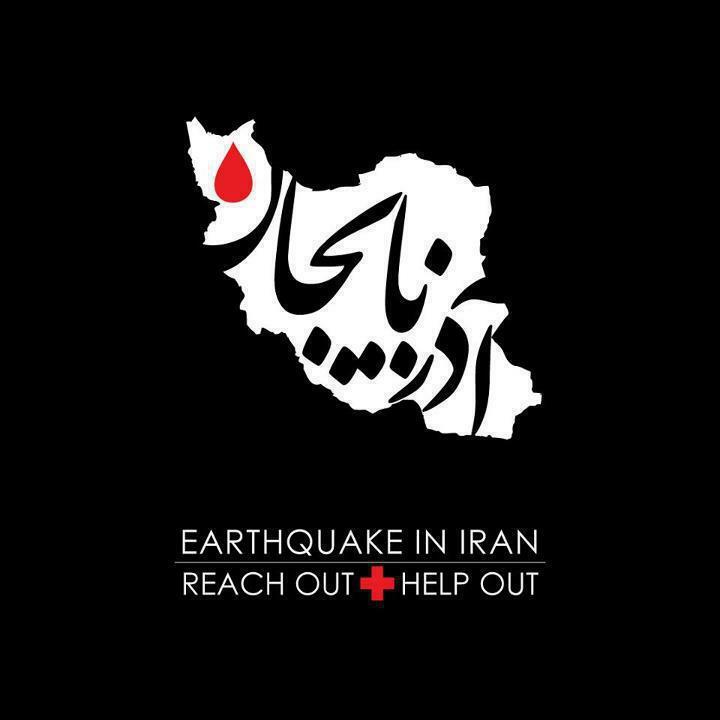 Report from Iran indicate that,four activists from Azarbayejan who were just helping the victim's of Earthquake were arrested and detained. 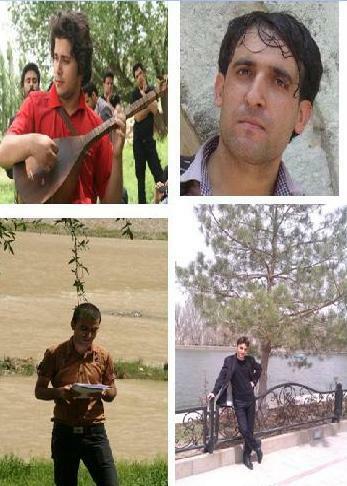 On the evening of Wednesday Aug.15,2012 four Activists from Azarbayjan who were just volunteered & were helping the earthquake victims were arrested and detained by the security agents in "Varzaghan" area.The names of these activists are: Meysam Azadi,Okhtay Rashidi,Vahid Saidkhani and freidoun Aghazadeh (Atila).There is no report where the regime security agents took them!!!??? From the facebook of Iranian journalist Ensafali Hedayat . Bahman Ahmadi- Amouei's letter to his wife Jila Baniyaqoub about the lives of 54 political prisoners in Rejaei-Shahr prison ! Short version of Bahman's letter. Translated by IRAN WATCH CANADA . Please if you copy this ,be honest and show Iran Watch Canada as the translator. Almost all the materials in Iran Watch Canada is translated by Iran Watch Canada. 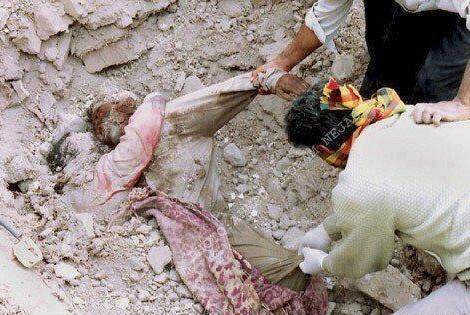 And after this, there are four members of PKK party,who have spent eight years or five years sentences. Young people who are in their mid twenties.Zaniyar and Loghman Moradi who are cousin and spent four years imprisonment under death sentence.Judge Salavati has denied them their family visitation rights .These prisoners earn their cost of living by weaving sash ,scurf ,doll and other handicraft inside the prison by selling to other prisoners. I want you to picture it out how the Rejaei-Shahr prison with 54 political prisoners lookes like: A 50 meters hall with three meters hall way which is covered with carpet. In it ,there are 33 rooms of 2.70 cm by 2.00m, two air conditioner ,one at the entrance and other at the end ,brings fresh air and a metal door which most of the time is locked , the only way to reach to the prison guard upstairs is a land line.By the way, the hall upstairs has 170 Al Qaeda prisoners. Among us the Bahai's are the majority and sometime jokingly we tell them : At least in one place you are not minority anymore. The others are members of PKK ,Pejak,members, Democratic Party of Kurdistan members, Mojahedin Khalgh prisoners,Green movement prisoners, Patriotic personalities( The security officials calls them loyalist of great Persia) ,the monarchists and others who call themselves independent, and individualists ( According to the boys here ,they want to fight alone with Islamic Republic) . Mehman parast spokesperson for the 16th NAM Summit in Iran: " We believe 600-700 foreign reporters and 400 internal reporters will cover NAM Summit ! 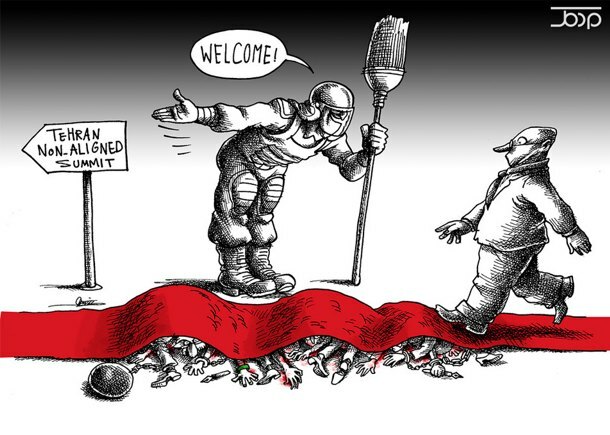 The Islamic regime in Iran have plan to make political benefit from this summit to raise its reputation and bankrupt political and economical policies.Regime have plan to bring itself out of isolation in the world. Iranian people expect the reporters to inform their people about what the Islamic regime official say and do are two different things.Iranian people believe Mahmoud Ahmadinejad isn't their legitimate president and he was installed as president by a coup and in an election rigging in 2009. Iranian people want reporters to hear their voices and be a good messenger.Many families lost their love one's during peaceful protest which began after presidential election cheating including Neda and Sohrabs families.Speaking with these mom's and their situation including the situation of political prisoners will bring more truth about Iran.Iranian people want to know more about the situation of Mir Hossein Musavi and Mehdi Karoubi and their family members.Of course regime also plan not to let reporters to cover news which will damage regime's reputation. The Non Aligned Movement meeting in Iran and the registration of close to 2300 internal and foreign reporters to cover the news.....and the subject of Green movement ,their imprisoned leaders (Musavi and Karoubi) and the prisons and political prisoners in Iran ! Reporters can make human rights issue their priority! The 16th Non Aligned Movement meeting is going to take place from Aug.26- Aug.31 in Tehran- Iran. Mr. Sheikhan deputy communication and media information of the NAM in speaking with political reporter of the ISNA news agency said: "Up to now 1766 internal and foreign reporters have registered and are going to cover the reports about the meeting." Mr. Sheikhan added: "With the arrival of delegates, reporters will also arrive and we believe close to 2300 internal and foreign reporters will cover the NAM meeting in Iran." Foreign reporters have great opportunity to ask questions about the green movement in Iran and their imprisoned leaders ( Mir Hossein Musavi and Mehdi Karoubi) . Three years ago in 2009 presidential election was held and people believed the regime have cheated in the election by calling Mahmoud Ahmadinejad as the winner and following that, people protested to the announcement and poured into the streets all over Iran. people believed Mr. Mir Hossein Musavi was the legitimate winner and must have been the president since 2009 ,but instead regime put Mr. Musavi under house arrest. Reporters must ask the regime officials ,how is Mr. Musavi's health? Where he is being held? in What condition ? If reporters can speak or interview Mr. Musavi and Karoubi the other candidate who's fate is also the same and suffers the same !!? reporters also can bring questions about the issue of political prisoners in Iran and can visit Evin and Rejaei shahr prison in the city of Karaj outside Tehran.Islamic Republic has many political prisoners , many journalists ,writers, Lawyers , student activists , human rights advocates, Bahai religion leaders , Darvish gonabady leaders and followers ,bloggers and just recently regime have arrested and detained people and volunteers who wanted to help the Azarbayejan earthquake victims. Where in the world this can happen, except Islamic Republic in Iran? Political prisoners and their families are looking on you to cover their human rights violation issues too. Help release Iranian imprisoned Journalists and writers from Islamic regime prisons! Islamic regime has announced it will release 20,000-25000 prisoners but not the journalists and human rights advocates who are considered according to Islamic regime as " threat to national security" ! According to a report by "Kalameh" website , and based on concurrent meeting of NAM in Tehran ,regime has decided to release 20,000 from its over populated prisons.The decision for the release comes with a proposal from judiciary power and with the approval of Khamenei the supreme leader of the regime .The release comes each year during "Eid Fetr " a Muslim holy Eid ( celebration).Each year 800,000 prisoners enter the prisons all over the country. At present some of the prisons have five times greater population than it should usually have.These prisoners who are going to be released are those who are committed financial or minor crimes.After the revolution the prison occupy 10,000 prisoners compare to population of 36,000,000, but now the population is 76 million and the prisoners should have been 20,000 but it is 170,000 according to report.In the world for every 100 thousands there are 148 prisoners while in Iran it is 271 prisoners. while Islamic regime in Iran is busy supporting Bashar Al Asad not to fall , Iranian people including Anjolina Julie and brad pitt help people of Azarbayejan suffered from earthquake. 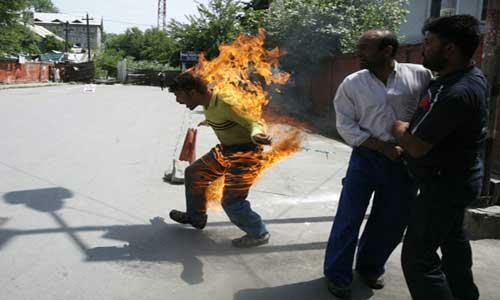 Islamic regime in Iran and the Non Algined Movement meeting in Tehran from Sunday Aug.26 to Saturday September 1,2012 ! Islamic regime in Iran has called for five days holiday through out the country because of None Aligned Movement meeting in Tehran . Thinking that more people of Tehran (where the meeting is going to take place) will take the advantage to go out of the capital for this five days Government imposed holiday. 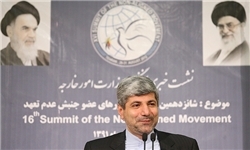 The meeting of Non Algined movement will take place in Tehran-Iran from Aug.26- 31,2012 . However ,the Iranian activists calling people not to leave the city during this meeting and instead at night get on their rooftop and chant anti regime slogan and prepare for street protest. Among 141 member countries of the Non aligned Movement, 35 leaders planned to participate in Tehran. But Many countries including the head of UN planned not to attend in Tehran's Non Aligned meeting due to human rights violation and security issues!!??. The budget for this meeting will cost the Iranian people more than hundreds of billion Tuman. This regime is ready to spend hundreds of billion dollar for Hezbullah, Syrian Army and other militias including the "Ghods" Terrorist group, but none for its people. 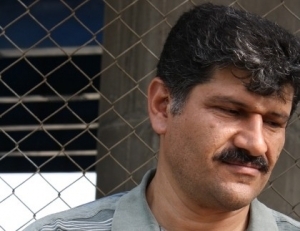 Iranian satirical poet detained for his critical poetry ! Iranian Satirist Mohammad Reza Alipayam ( Mr. Halou - as he is known in Iran ) Is arrested by the Islamic regime security agents on Monday August 13 at his home and is in prison since then. Mr. Halou is known for his sharp critical satirical poetry . 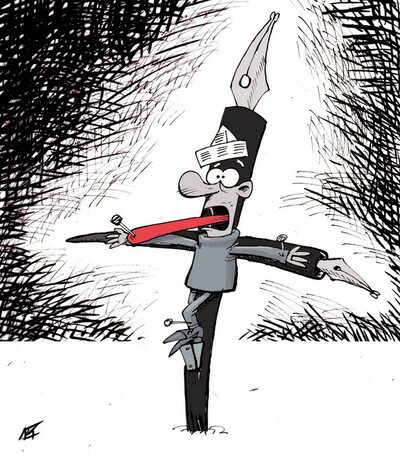 A group of Iranian and Afghan satirists and cartoonists in a statement called for his immediate release. Job and Bread or Death !!?? 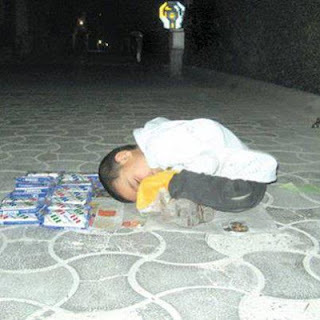 Increase in joblessness and poverty in Iran brings many family and young breadwinners to a point where they find it hard to continue their lives and Islamic regime in Iran keeps their eyes & ears close to all these injustices. Here a 24 year old young jobless man who supports his two blind sisters and family set himself on fire in front of mayor of the city of "Malard" . This incident reminds us of the same incident in Tunisia which brought the regime of Ben Ali to an end. Save the life of Gholamreza Khosravi Savadjani ! Gholamreza Khosravi Savadjani was the past political prisoners of the 80's in Iran.Due to a complaint by the Ministry of Information agents in the city of Rafsanjan ,he was arrested again and sentenced to six years imprisonment.While in prison another complaint by Ministry of Defense made his case more complicated and in a kangaroo court, Islamic Republic style, he is once again sentenced to death. One of his charges is having relation with Mojahedin Khalq. According to a verbal announcement by judiciary officials in Evin prison , his sentence will be carried out on August or September !?? 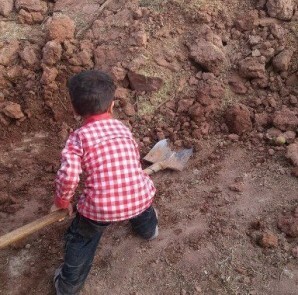 Lets save the life of Gholamreza ,he needs our help ! 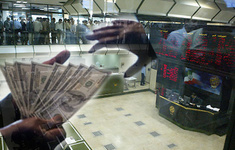 According to a report by ISNA ( Iranian Students News Agency) , Government has ordered banks not to give foreign currency to Iranian travelers. Based on this report ,the Iranian tourists travelling abroad will have no ( zero) foreign currencies. This is happening while people have no fault in any of Government economical decision making and now Government is punishing people for their failed economical and political policies. The regime tries to say to the people that, country is in difficult situation due to sanction but at the same time people finds out that, regime has foreign currency when it comes to helping Hezbullah (Nasrullah ) - Almahdi group in Iraq ( moqtada Al-Sadr) or helping Latin American countries including Chavez . 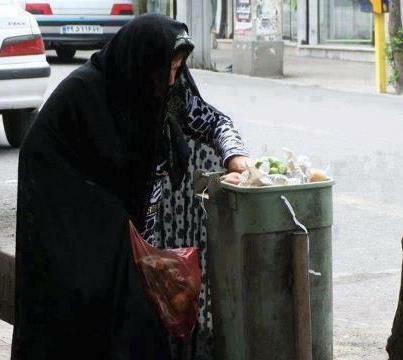 Its a bizarre situation in Iran , people are fed-up with this regime and are waiting for a spark . According to report , Islamic Republic regime in Iran has stationed anti-riot guards at major intersections and square in Tehran. This picture which was taken yesterday - shows guards are watching people in " Meydane Enghelab" revolution square.Increase in poverty , unemployment / joblessness, devaluation of Iranian currency , increase in basic food and shelter prices, increase in bus fare, corruption and political uncertainties is suffocating the people. 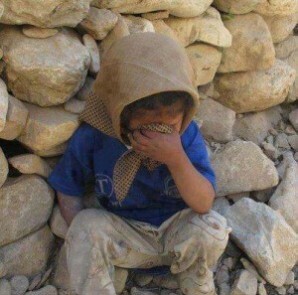 As Shirin Ebadi once said; "Iran is like a volcanic mountain and it will erupt at any time ." And regime knows the storm is coming ,but doesn't know when .